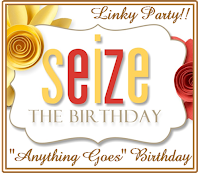 I had a chance to craft with my sister Barb last evening and we played along with the current Seize the Birthday Challenge. I seemed to have gotten a little carried away with all my embellishments, wood bits, sequins and twine. I used the DP to added a little extra with it design and I added in a sentiment and a popped up die cut balloon. Supplies: White and brown card stock, Designer Paper – Simple Stories, Papertrey Ink – Birthday Bash Sentiments, Paper Smooches – Die cuts, twine, wooden bits, sequins. ﻿The end of May is quickly approaching, I am still in awe of how fast this year is going. 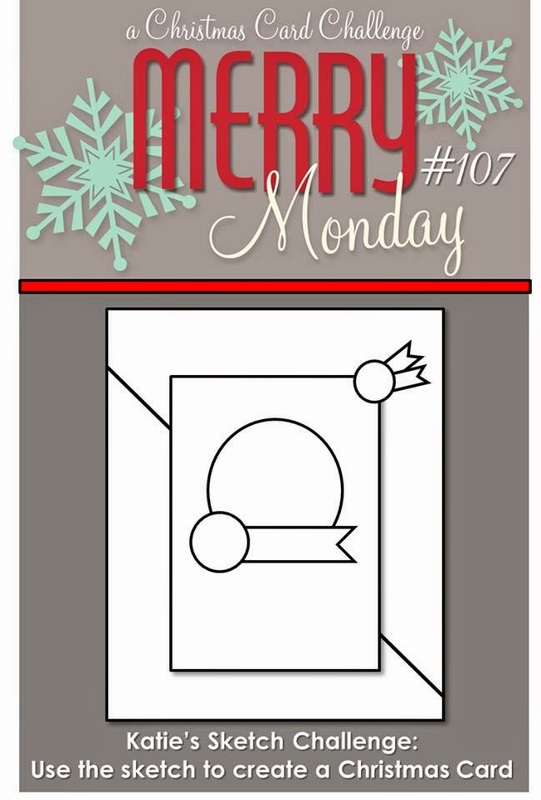 It’s Monday and that means we have a new Merry Monday Christmas Card Challenge. This week Debbie is challenging us to Use Christmas inspired food on your Christmas Project. I am not sure if Candy Canes are really food but considering how they were a food staple for me during the holiday season when I was growing up they certainly should be. It is a good thing my parents did not look to closely at the tree at Christmas and I still don’t know if they ever noticed that there was never any to take off the tree when all the decorations came down. I coloured the candy cane with my Tombow markers and clear glitter pen. I tried to use a gold flake pen for the ribbon but it did not want to play along so I filled in the little blank spots with the glitter pen but it looks a little patchy in the picture (it blends nice on the actual card). I popped the panel up with foam tape then finished with a stamped sentiment and adding some twine. 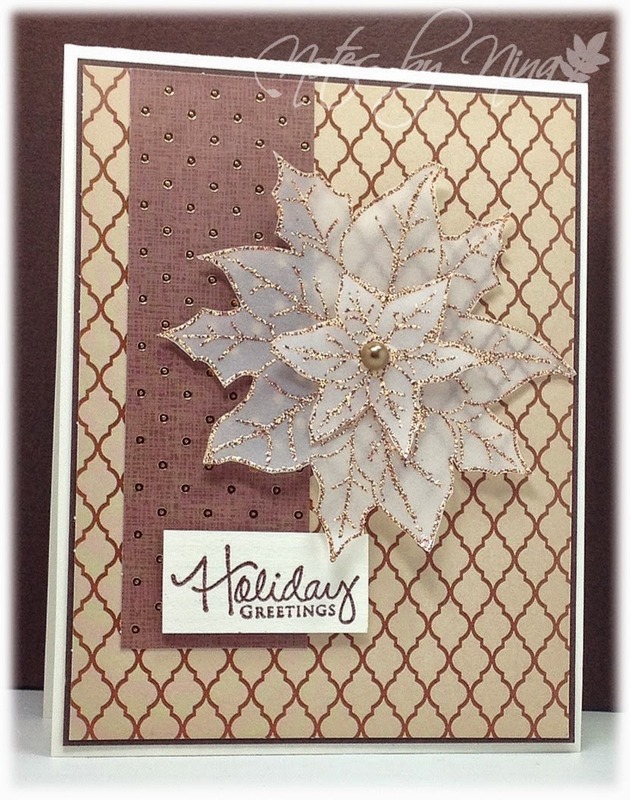 Supplies: White and brown card stock, Designer Paper – DCWV, Kaiser Craft – Candy Cane, Verve-holiday Treats, twine. 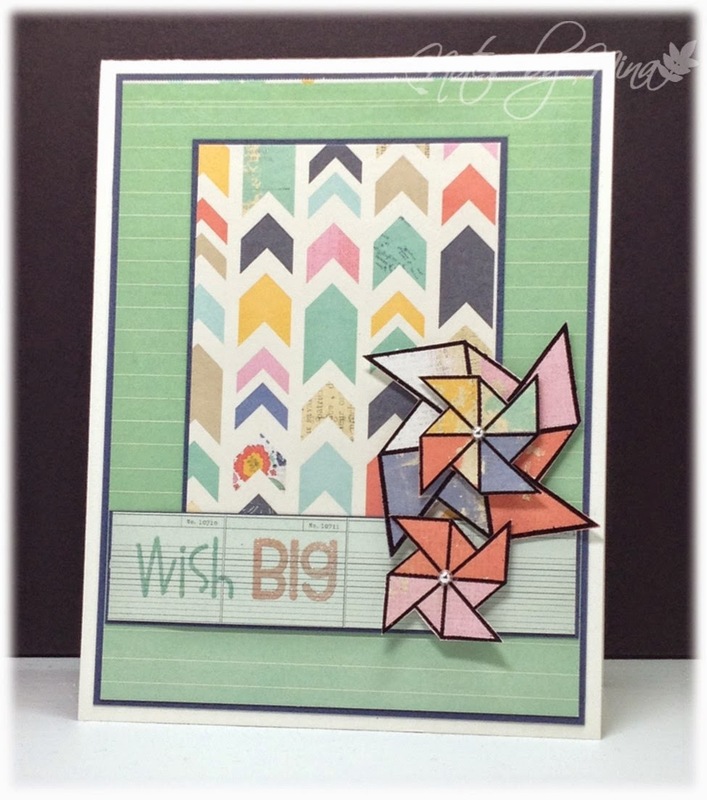 Stop by the Merry Monday Card Challenge blog and take a look at all the great creations by the design team, and maybe play along. I had such fun making this card last evening, I needed to let the glossy accents on the brush before I took a picture of it. 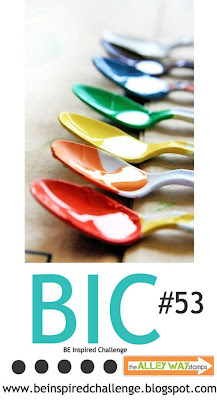 I was walking yesterday morning and I saw so many pretty flowers and colours it reminded me of a colour wheel and when I saw the current Be Inspired Challenge I could not resist making a card. 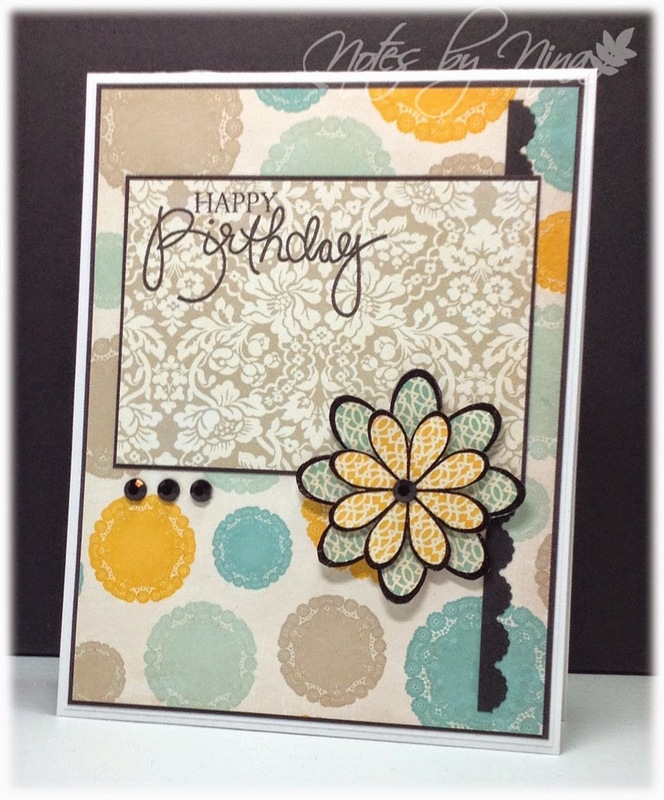 I heat embossed the brush and flowers on multiple different designer papers and fussy cut them out. I popped everything up with foam tape for a 3D effect. I punched out a butterfly and used my Wink of Stella clear brush to add some shimmer and finished with pearls. 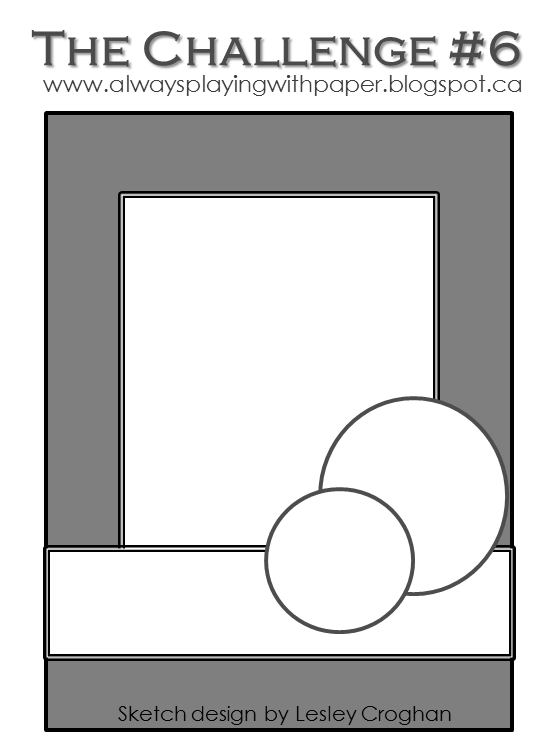 Supplies: White card stock, Designer Paper – Simple Stories, The Alley Way Stamps – Talk to Me, True Colors and Speak Easy, misc punches, pearls. 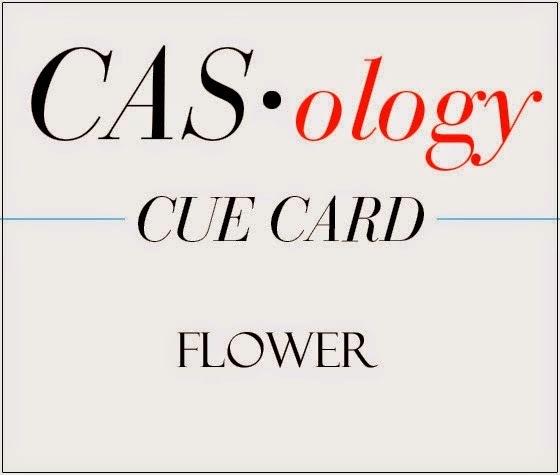 A quick second card for the current CASology challenge. I have to admit I am loving these cute stamps from the Alley Way Stamps. I heat embossed both the vase and the flowers then fussy cut them out and popped them up with foam tape. I added some hand drawn stems and coloured the flowers with my Tombow markers. I added a little glimmer with my Wink of Stella clear brush, I also covered the vase in Glossy Accents then finished with some sequins and gems. 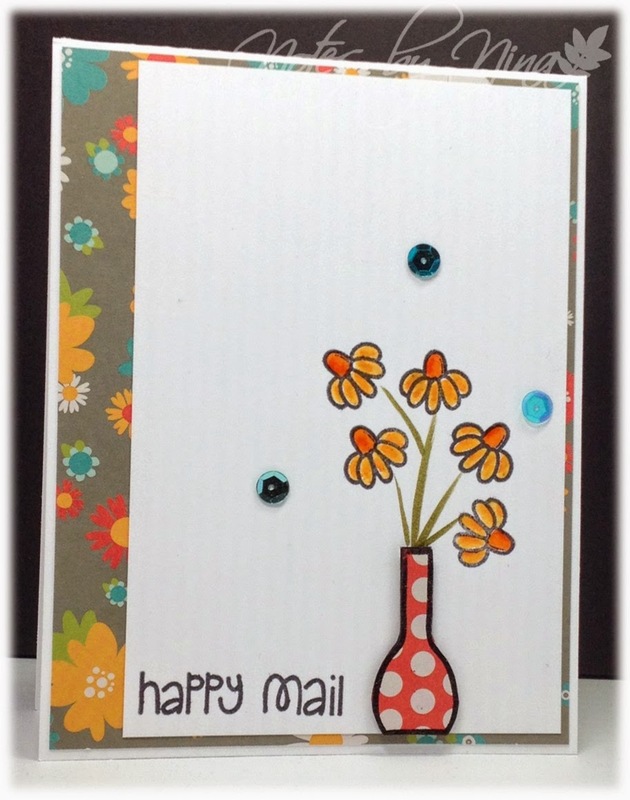 Supplies: White card stock, Designer Paper – Simple Stories, The Alley Way Stamps – Awesome Blossom and Petal Pushers, sequins, gems. 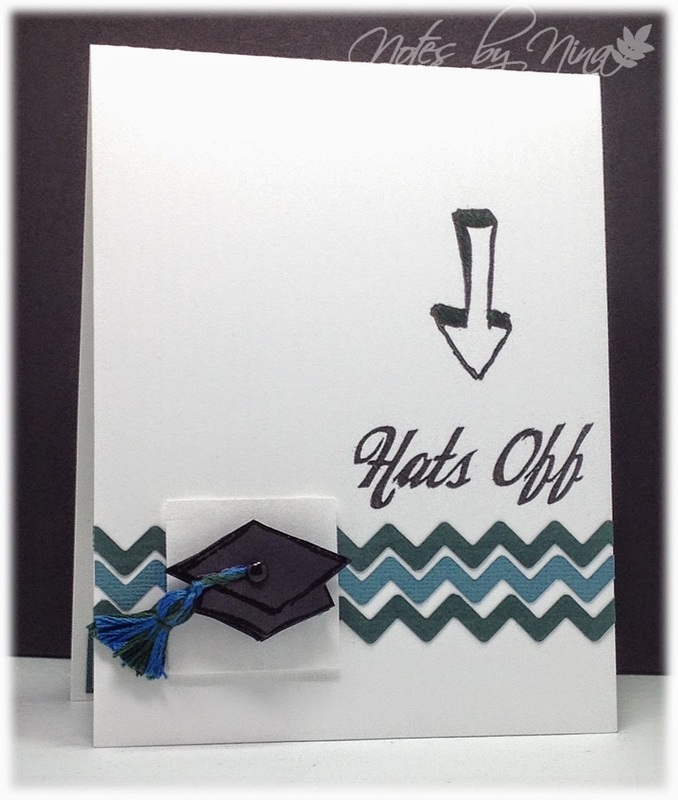 I love the idea of the chevrons for this card, my nephew is graduating this year and I wanted to incorporate his school colours into the card. I tried to match those colours into the tassel I made as well. I heat embossed the grad cap three times and fussy cut it then popped it up with foam tape. Supplies: White, green, teal and black card stock, TPC – Graduation, embroidery floss and brad. 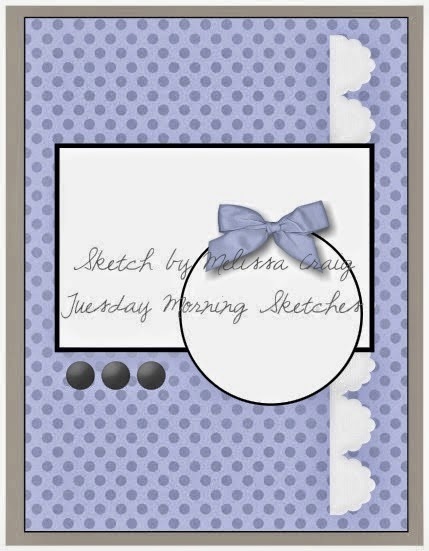 Good Morning – today short post is for the current Tuesday Morning Sketches challenge. My card made it into the top 5 last week J. Are a very cool design. Supplies: Cream and brown card stock, Designer Paper – Crate Paper, Technique Tuesday-All Aboard, Paper Smooches – Tag Stitched, crystals. 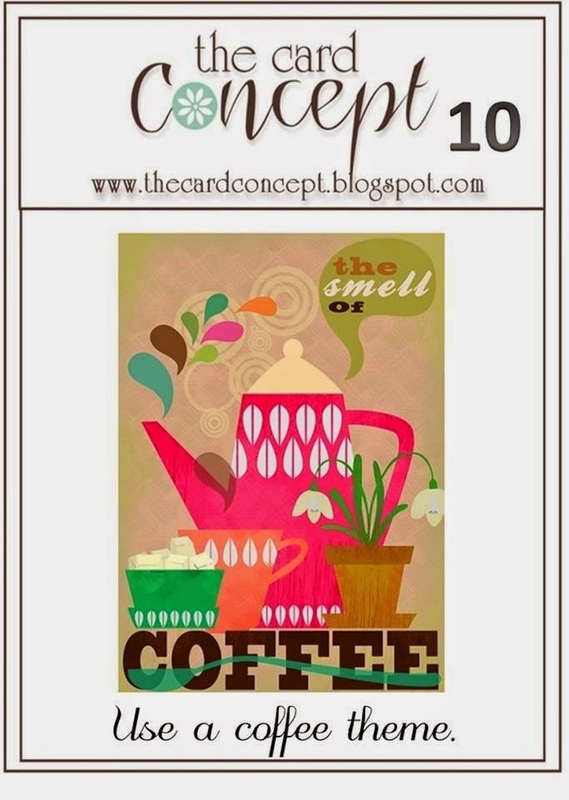 Good Morning, happy Tuesday J. I have a quick card this morning for the current challenge over at The Card Concept. This theme is perfect for a date card I created for a friend, it has been way too long since we got together for a tea/coffee chat session. I used the Clean and Layering style, I heat embossed then fussy cut the mug, I added a little tea bag that was popped with foam tape. I added a couple of background sentiments and coffee beans. I heat embossed some steam and added some twine. 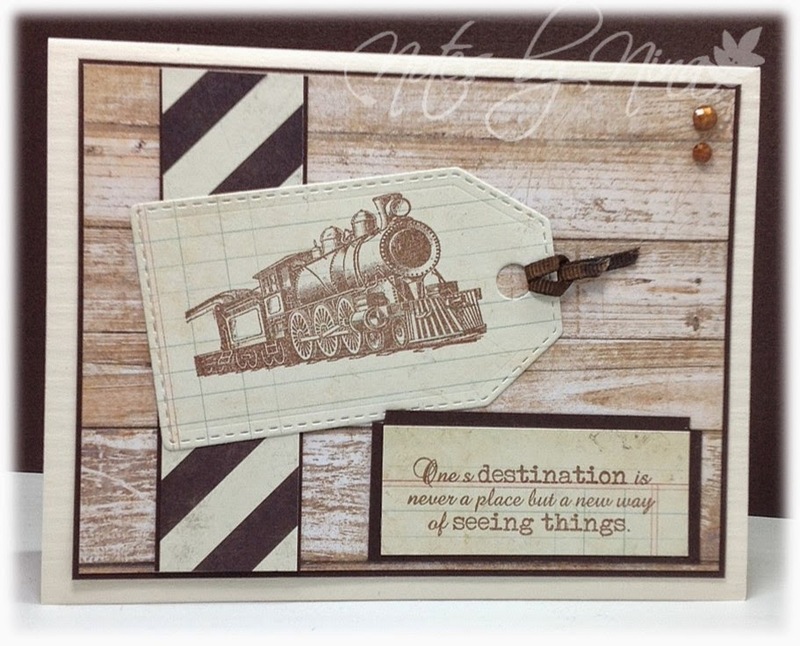 Supplies: Cream and brown cardstock, Designer Paper-Graphic 45, The Alley Way Stamps-Breakfast Club, TPC-Coffee Club, twine. I love long weekends, I was lucky enough to make mine extra-long. The weather man predicted clouds and showers but we have been happily living in the little bubble of sunshine all weekend. My weekend has been full of gardening, rodeo, fitness, food and yeeahh crafting. I find it almost laughable how long I spent of this card, it took so many directions it was like watching a drunk butterfly. I am happy with how it turned out but it ended up so far from its original design. This card is for Lesley’s current The Challenge. I started with a heat embossed and fussy cut vase, I then stamped and coloured the little daisies and added a little Glossy Effects. I did a hand flick with my Tombows for the stems then finished with the sentiment and sequins. 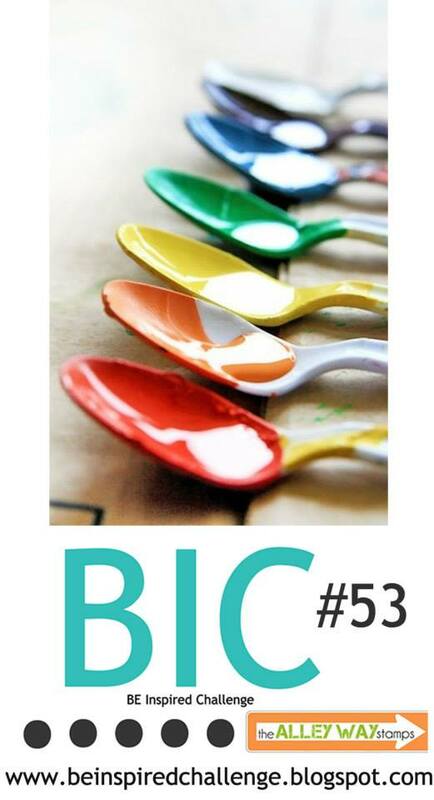 I am also linking up to the current BE Inspired challenge. Supplies: White cardstock, Designer Paper – Pebbles, The Alley Way Stamps – Petal Pushers, Awesome Blossoms and Speak Easy, sequins. 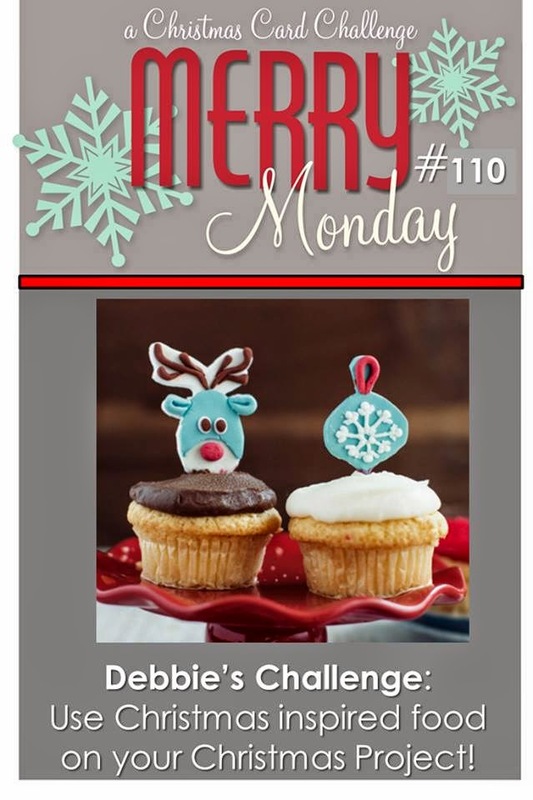 Merry Monday everyone, it is time for a new change for the Merry Monday Christmas card Challenge. 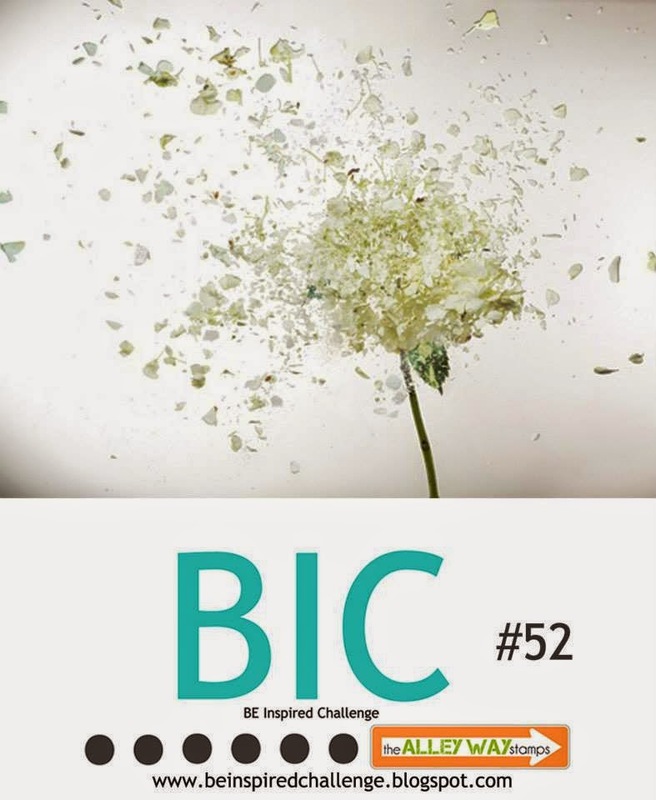 This week the challenge is to use Flowers(s) on your Christmas Project. I heat embossed a poinsettia with a cream and gold embossing powder then fussy cut both layers, I have some foam tape between then layers then finished with a gold pearl. I added a simple sentiment also popped up with some foam tape. Supplies: Cream, brown and vellum card stock, Designer Paper – DCWV, Memory Box – Poinsettia, Papertrey Ink – Signature Christmas, pearl. 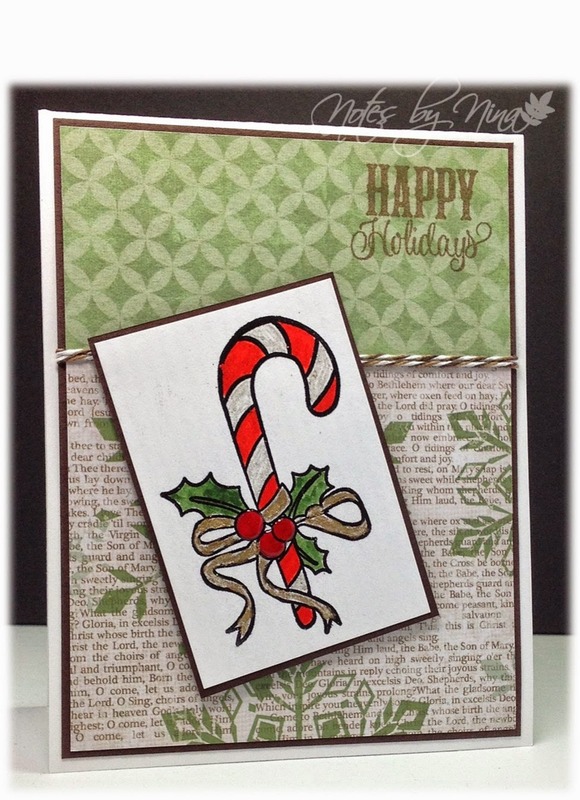 Stop by the Merry Monday Card Challenge blog and take a look at all the great creations by the design team, and maybe come play along. 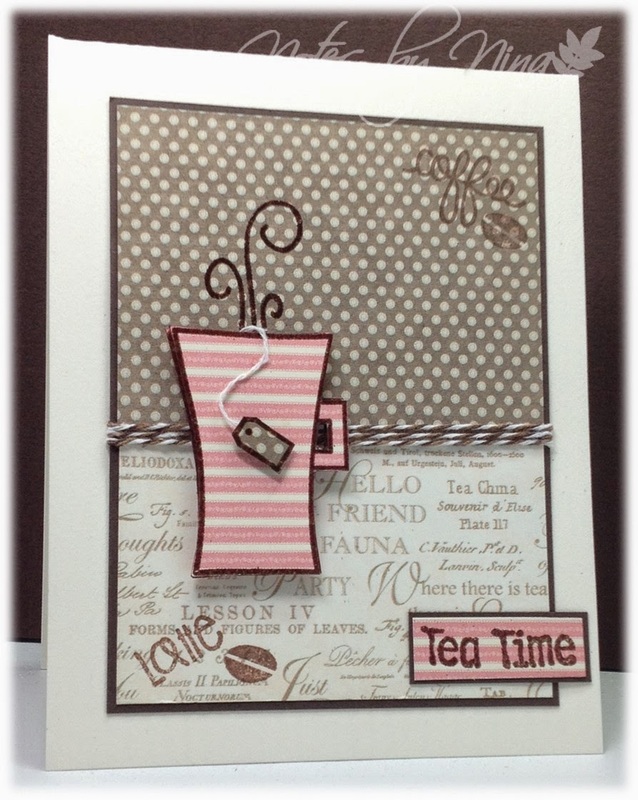 Another quick card, this one is for the current Tuesday Morning Sketches challenge. I spent the day at the rodeo and was not expecting the beautiful sun. I heat embossed the flower then fussy cut it out and popped up the layers with foam tape, I stamped the sentiment and finished with some gems. 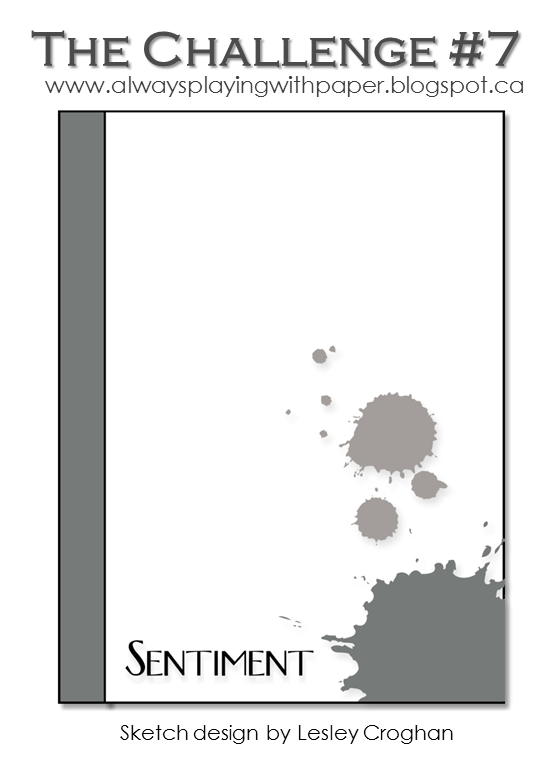 Supplies: Cream and black card stock, Designer Paper – Fancy Pants, Papertrey Ink – Birthday Bash Sentiments, The Stamps of Life-creations2fill, gems, misc punch. A quick card for this post, I had a little time in my craft room today so I played along with The Challenge, Lesley has a great sketch for us. I heat embossed the pinwheels and fussy cut them out, I also popped up the layers with foam tape. I finished with a heat embossed sentiment and a couple of silver pearls. 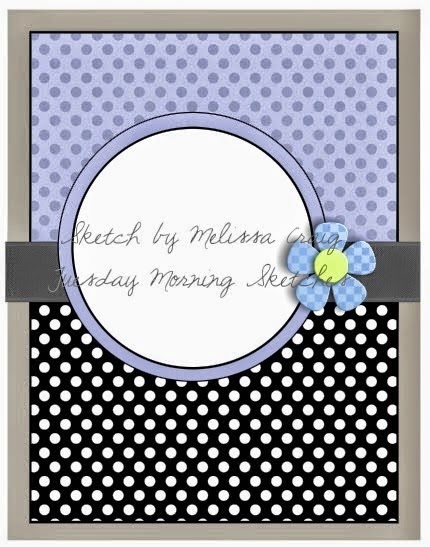 Supplies: Cream and blue card stock, Designer Paper – American Crafts, Paper Smootches – Birthday Sampler, The Stamps of Life – pinwheels2stamp, pearls. Merry Monday Everyone, it is time for a new change for the Merry Monday Christmas card Challenge. 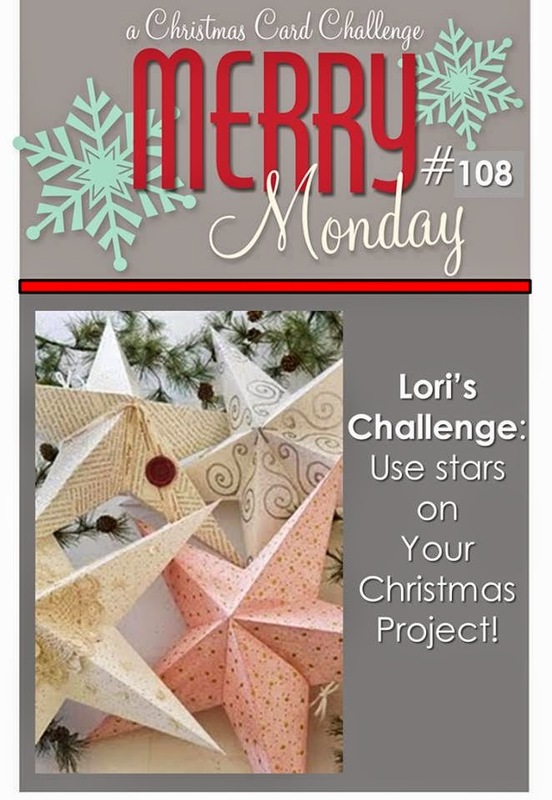 This week the challenge is to use Stars on your Christmas Project. I used a pretty piece of left over scrap of designer paper with snowflakes on it then added blue and silver stars in different sizes and some popped up with foam tape. I finished with a sentiment. 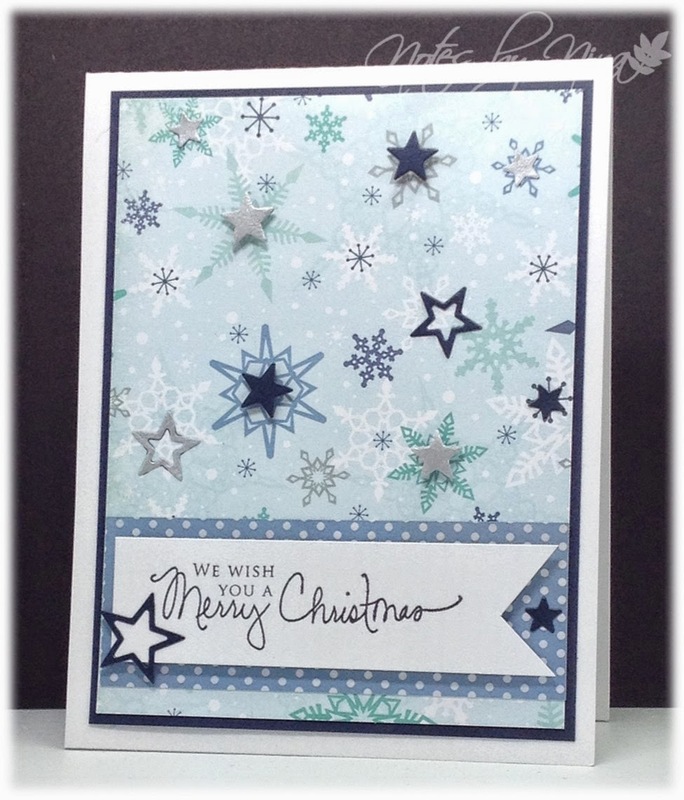 Supplies: White, blue and silver card stock, Designer Paper – unknown scrap , Papertrey Ink - Signature Christmas, misc star die cuts. 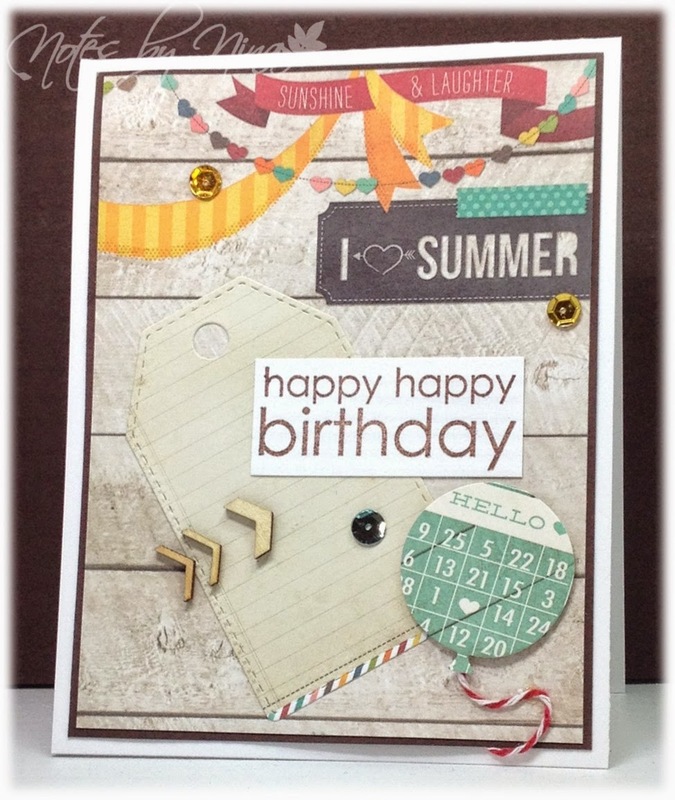 Stop by the Merry Monday Card Challenge blog and take a look at all the wonderful creations by the design team, come play along. 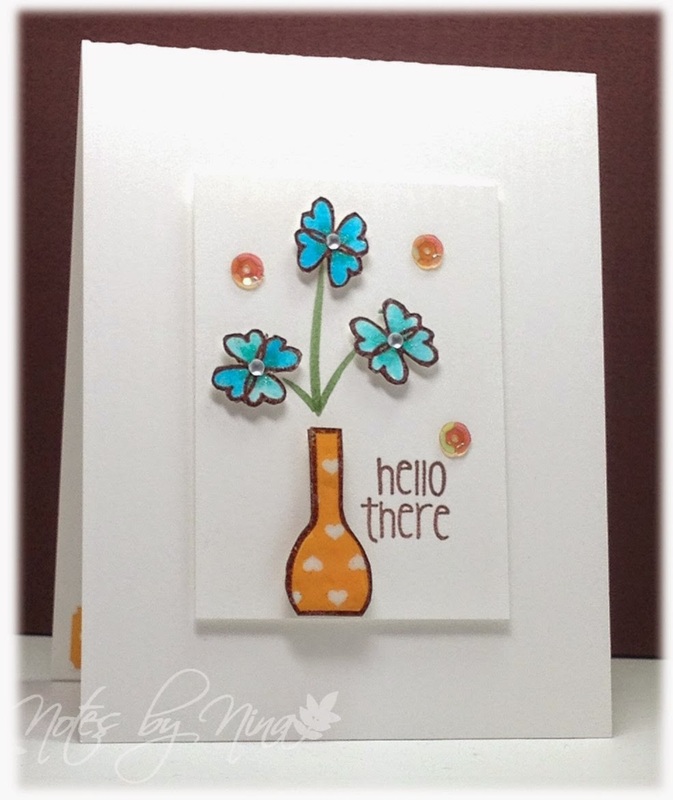 A quick card for this evening, I had a fantastic Mother's Day I hope all you crafty ladies did as well. I made this CAS card yesterday for a co-worker who lost a parent last week. I used a die cut for the leaves then added a heat embossed sentiment. 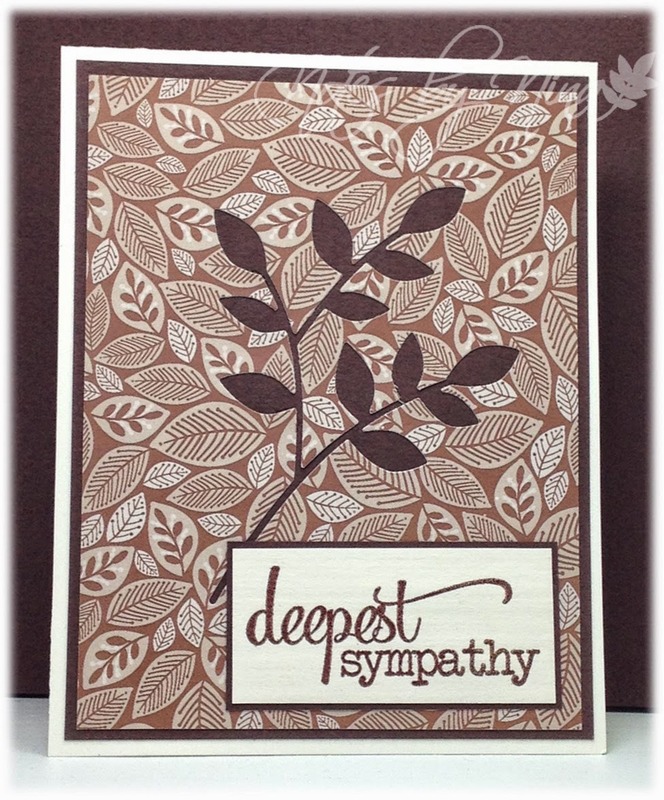 Supplies: Cream and brown cardstock, Designer Paper - DCWV, Verve - Deepest Sympathy, Memory Box - Lorelai Leaves. A quick masculine card this morning, I used the current Tuesday Morning Sketches as my inspiration. This fabulous DP arrived in the mail yesterday so of course I had to try it out. I heat embossed the sentiment and mustache, I then fussy cut and popped the mustache up with foam tape. I used an edge from one of the 6 x 6 sheets for the small center strip, you can see the same strip above that runs along the top half of the top panel. I love the fun face on the wood print on the bottom panel. I finished with some black pearls. 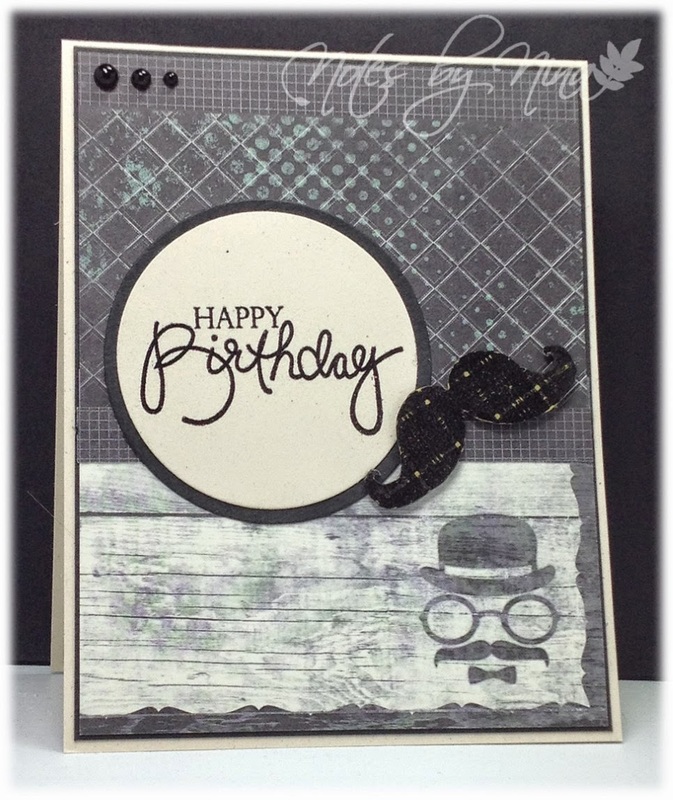 Supplies: Natural Ivory and black card stock, Designer Papers Authentique, The Alley Way Stamps - Mustache Mania, Papertrey Ink - Birthday Bash, circle die cute, pearls. Merry Monday Everyone, it hardly feels like it should be May. 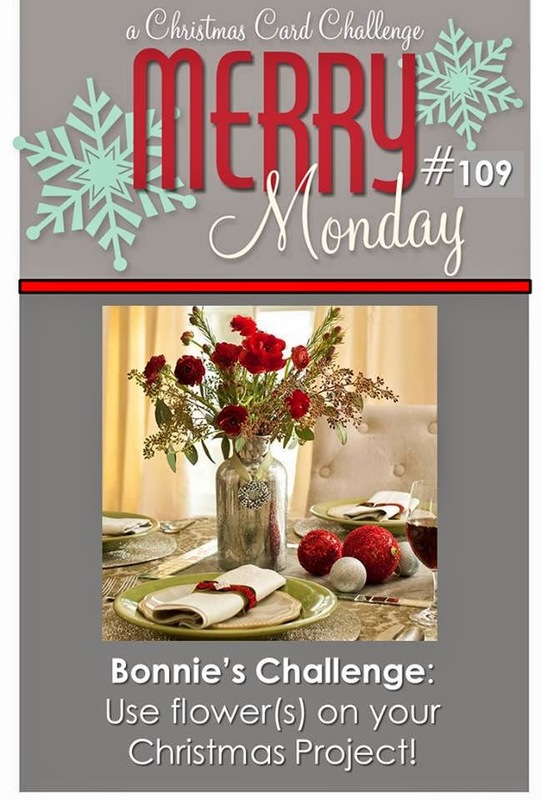 It is time for a new challenge for the Merry Monday Christmas card Challenge. This week the challenge is a sketch. I can never seem to cut paper diagonally in the right direction :), so as you can see I am a little backwards from the sketch. I pulled out soft coloured DP and used snowflakes popped up for most of my elements. I finished with a popped up sentiment and some gems. 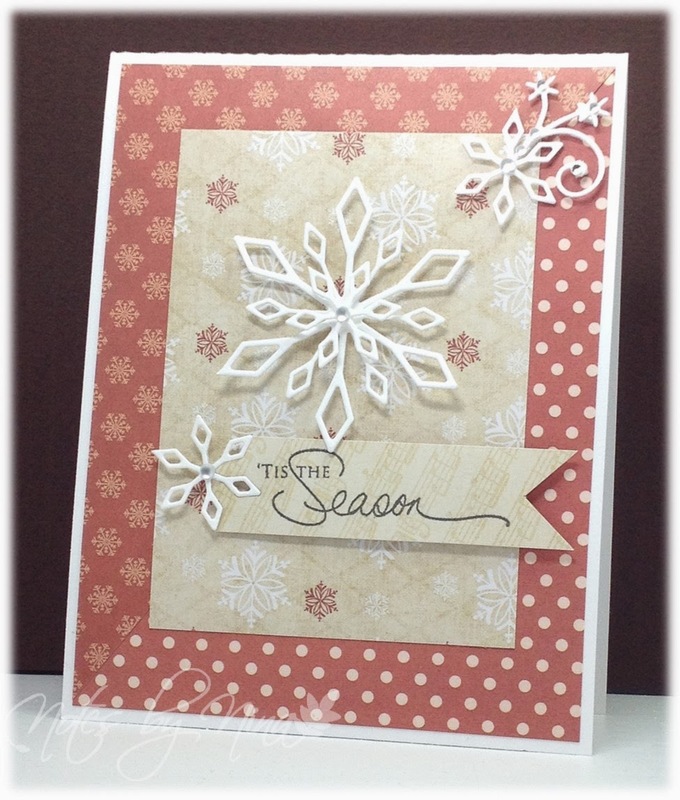 Supplies: Cream card stock, Designer Paper – DoveCraft, Papertrey-Signature Christmas, Memory Box die cuts, gems.